We’ve come up short … This time. Fall elections will save hundreds of thousands of dollars and increase voter participation, which are both great for Gainesville. Three months ago we decided to take on the challenge of gathering 7,463 signatures in 90 days so as to give voters a say on it in November. We started with minimal funding and a handful of volunteers. While we fell short of the number of signatures needed, nearly 5,000 people did sign a petition. People overwhelmingly support the idea, and that’s why we came as close as we did. Thanks are due everyone who contributed a signature, time or money to the effort and we want to assure everyone that this is just the start. Should they choose to, the City Commission still has the power to put this question on November’s ballot. In the event that doesn’t happen, we will immediately begin planning another qualifying effort. With what we’ve learned and with the broad support this idea has earned, we are confident it will succeed. Again, many thanks to ALL who have been involved. You’ll hear more from us soon! Are you ready to move Gainesville city elections to the Fall? We need your help now! We’ll be sure it gets to the Supervisor of Elections office, and when we have 7,463, you’ll find this on your ballot as early as November, 2016. Supervisor of Elections Approves Petition for Gainesville Votes! Gainesville voters have until May 29 to place a referendum as early as the Fall, 2016 ballot that will move city commission elections from an annual spring process to the Fall of even years. Earlier this week Alachua County Supervisor of Elections Pam Carpenter approved petition language submitted by organizers from Gainesville Votes!, which started a 90-day clock for them to collect completed petitions from 7,463 registered Gainesville voters. If they are successful, the question will be put to voters on the ballot this November. “We propose following the model successfully used by the Alachua County School Board: Non-partisan elections occurring in August (alongside county, state and federal primaries) of every even year. When a run-off is necessary, it would be held on the first Tuesday in November along with county, state and federal elections,” Ward said. The city of Gainesville currently spends $230,000 each year for municipal spring elections, with a voter turnout consistently in the low teens. By contrast, the City of Tallahassee spends less than $90,000 every other year and has experienced voter turnout in excess of 70%. Check Out the New Logo! We are Gainesville residents working to reform Gainesville elections. Gainesville currently holds elections each spring and only city races are on the ballot. Turnout for these spring elections is abysmal. In April of 2015, less than 12% of registered voters cast ballots! We know Gainesville can do better! Holding city elections at the same time voters cast ballots for other local, state and federal candidates will improve turnout and lower costs. 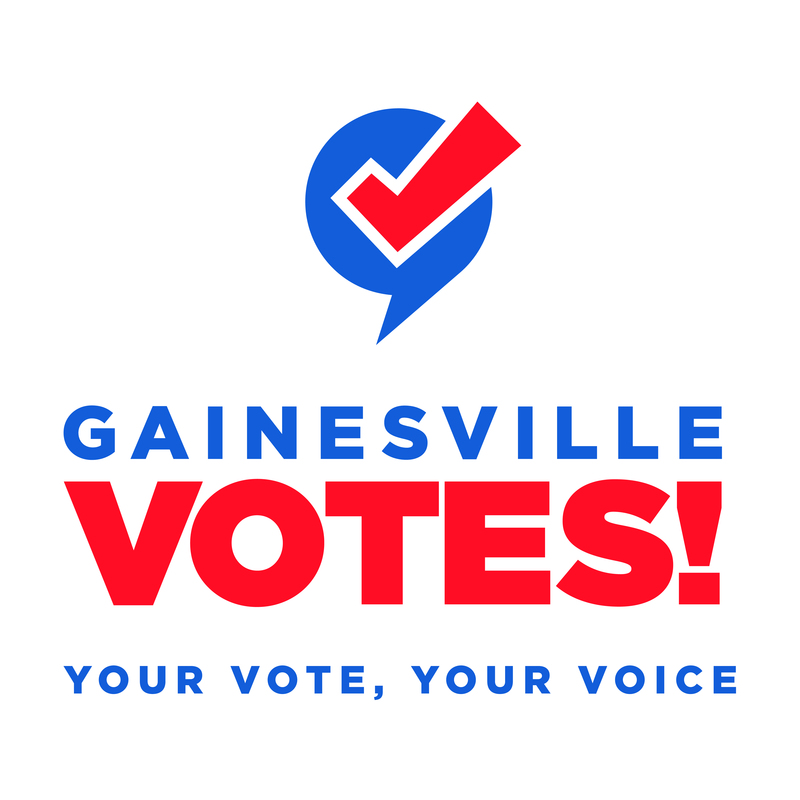 Gainesville Votes is working to move Gainesville elections to the fall, so that every voter can cast a ballot at the same time he or she votes. Specifically, Gainesville Votes is working to establish a first election in August of every even year and a run-off, if necessary, in November of each even year. This schedule is the same as the Alachua County School Board. City elections would continue to be non-partisan. Once in place, new city commission terms would be four years. No city commissioner would have his or her term lengthened or shortened by this change. With your help, Gainesville Votes can put this important decision before voters on the November 2016 ballot.